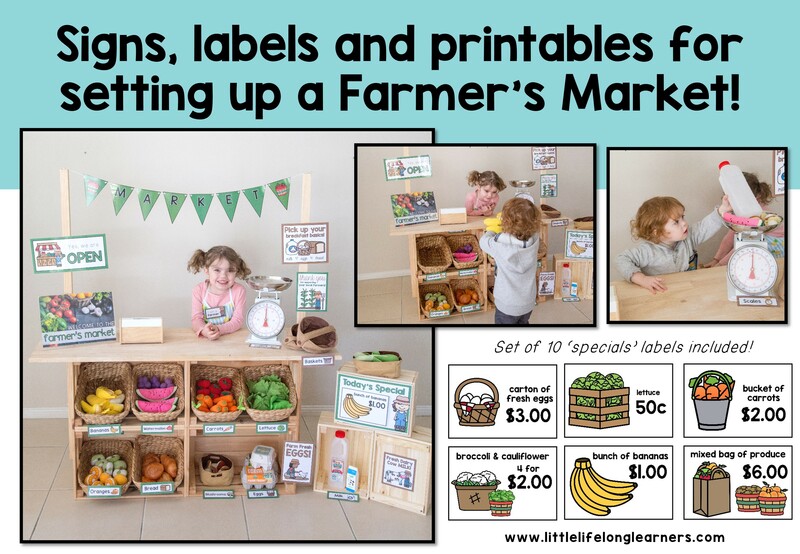 If your little learners love dramatic play, they will LOVE setting up their own Farmer’s Market! 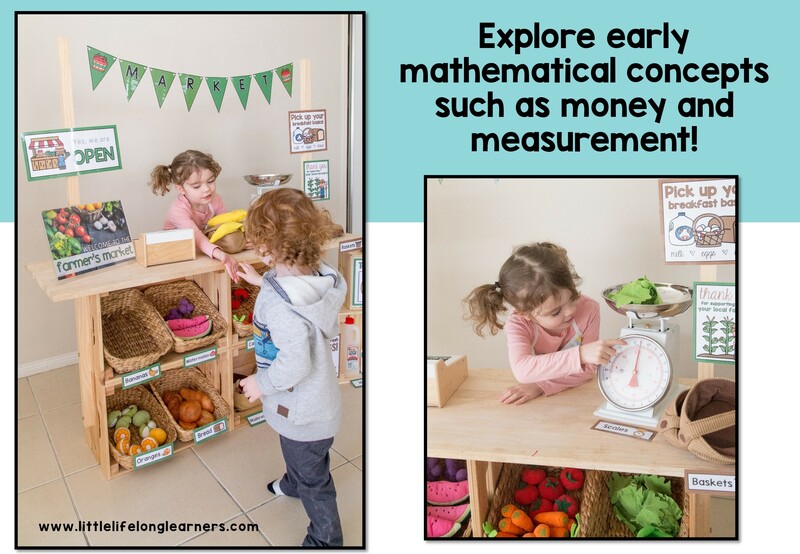 Link literacy to their play and encourage early writing and mathematical understanding as they role play! Do your little learners love to engage in imaginative play? Then they will love this Farmer’s Market Dramatic Play centre! It includes everything you need to set up an engaging space in your dramatic play area! 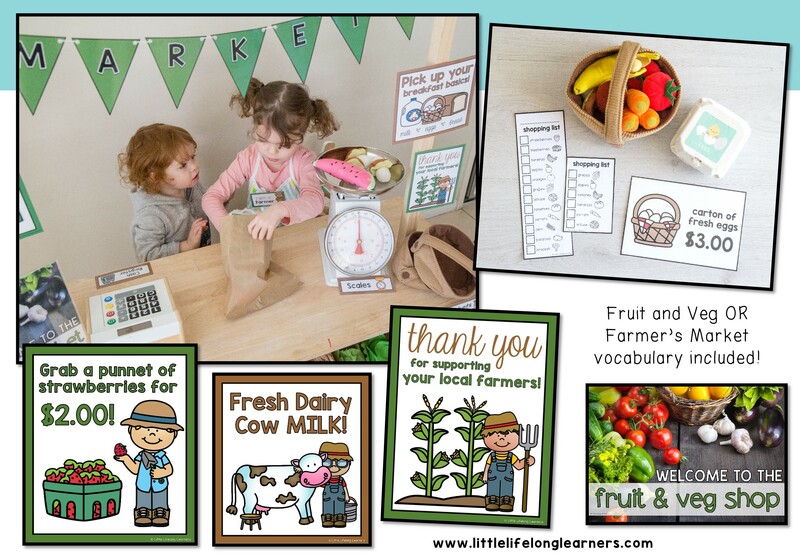 Signs for supporting local farmers, farm fresh eggs, breakfast basics, fresh dairy milk, strawberry punnets. Your little learners will develop early reading and writing skills as they play in the Farmer’s Market! They will begin to recognise familiar words and extend their vocabulary as they become familiar with the labels. 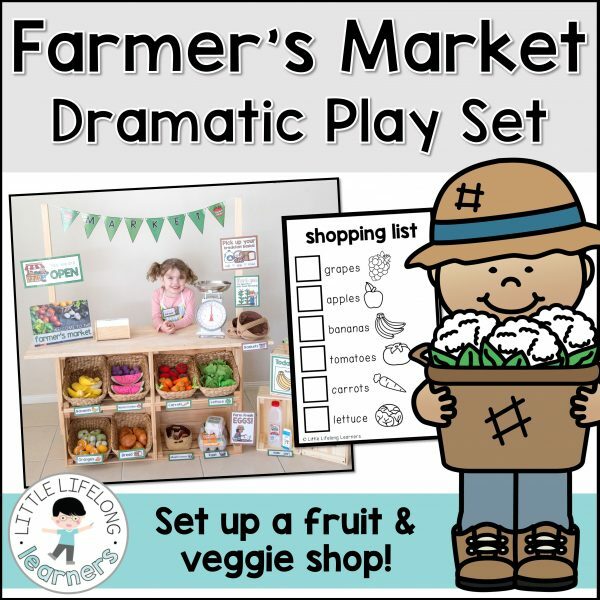 This Farmer’s Market Dramatic Play set is also a wonderful way to support a unit on Healthy Eating and Healthy Choices! 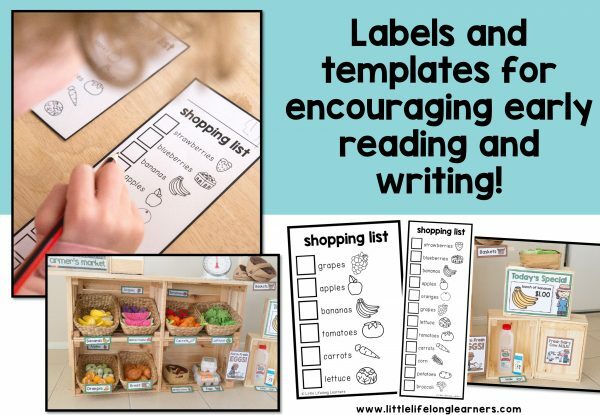 Your little learners can learn about healthy foods through hands-on play experiences while connecting these experiences to their real lives at home! Please note that all of my packets include US and AUS spelling variations if applicable.